Submitted by WBRi Web Desk on Sun, 11/25/2012 - 20:19. Panaji, Goa, India, Nov 23, 2012 (Washington Bangla Radio / PIB India) Bollywood superstar Akshay Kumar inaugurated the 43rd edition of the prestigious International Film Festival of India (IFFI) in Goa on 20 November 2012 at a glittering ceremony in Panaji. Goa Governor Bharat Vir Wanchoo, Chief Minister Manohar Parrikar and Information & Broadcasting Minister Manish Tewari among prominent leaders who attended the inaugural ceremony. Popular singer Kailash Kher and veteran choreographer Saroj Khan's troupe added excitement to the inaugural function by performing to a thuderous applause. Kher performed to a medley of songs choreographed by Saroj Khan. The festival kicked off with world premiere of Academy Award Winning Director Ang Lee’s much-awaited film ‘Life of Pi’. The film’s worldwide theatrical release slated for November 23---a global recognition of IFFI's growing global stature. 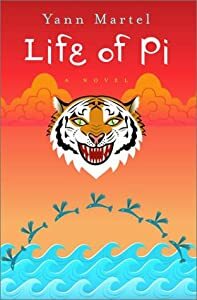 ‘Life of Pi’ is based on an adapted screenplay of a novel by the same name by Canadian writer Yann Martel. It is a 3D adventure film telling the story of 16-year old Piscine Molitor Patel (Pi) of Pondicherry (Puducheri), who survives a shipwreck along with animals like an orangutan, a zebra, a hyena and a Royal Bengal Tiger. The film explores the issues of spirituality, religion and life as a whole. The film, shot on location in India, stars Tabu and Irrfan Khan---who graced the occasion along with Ang Lee. It is expected to do well at the Oscars early next year. Delhi boy Suraj Sharma plays the lead. Ang Lee is the man behind some of the most prestigious and acclaimed films such as "Sense and Sensibility" (1995), "Crouching Tiger, Hidden Dragon" (2000), "Hulk" (2003) and "Brokeback Mountain" (2005). Veteran Polish filmmaker Krzysztof Zanussi was honoured with the highly coveted Lifetime Achievement Award after the inauguration. He received a cash prize of Rs 10 lakh along with his award. His 1973 classic "Illumination" will be screened in the festival's Cinema of the World section. Talking to reporters later, Zanussi praised Indian cinema for its individuality. "India is the only country where cinema is faithful to its tradition, aesthetics and mentality," he declared. Started in 1952, IFFI has evolved into a major forum for cinema from across the world. From Great Masters Of Bengali Cinema like Satyajit Ray to Japan's Akira Kurosawa, from Italian Marcello Mastrioni to Poland's Roman Polanski and India-born Gurinder Chadha to Mira Nair, IFFI has become a landmark destination across the globe. This 43rd IFFI will celebrate the successes of the Indian film industry, which shaped up its wings when the pioneers of cinema Lumiere Brothers brought their cinema to India. The Indian Cinema Industry took its first steps with stalwart Dadasaheb Phalke’s first film ‘Raja Harishchandra’ in 1913, and saw its emergence through movies like ‘The Flower of Persia’ by Hiralal Sen, ‘Alam Ara’ produced by Ardeshir Irani, along with other earlier movies like ‘Bhakta Prahlada’ and ‘Kalidas’ produced and directed by HM Reddy, which took the magic of cinema nationwide and created a demand for wholesome entertainment through movies. Indian film industry took shape, the baton of creating cinematic masterpieces moved on to filmmakers like V Shantaram, Bimal Roy, Raj Kapoor, Guru Dutt, Satyajit Ray, Ritwik Ghatak, K Asif, KV Reddy, L V Prasad, Ramu Kariat and Mehboob Khan. With time, Indian cinema went international and the look and feel of Indian cinema gave rise to stylish actors like Dev Anand, Dilip Kumar, Ashok Kumar, Shammi Kapoor, Manoj Kumar, Sunil Dutt and actresses like Geeta Dutt, Madhubala, Waheeda Rehman, Nargis, Nutan, Sadhana, Mala Sinha and others. Moving on, the new-age brigade of Amitabh Bachhan, Dharmendra, Rishi Kapoor, Sanjay Dutt, Govinda, Shah Rukh Khan, Salman Khan, Aamir Khan ably supported by actresses like Smita Patil, Hema Malini, Parveen Babi, Zeenat Aman, Helen, Asha Parekh, Madhuri Dixit, Kajol, Karishma Kapoor and others held their own in the Indian film industry, therefore making it an international entity in itself over the years with a vast following across the globe. Today, the Indian cinema industry is the largest producer of films worldwide with over 2,000 movies being produced in the country every year. From modest Rs 1,000 revenue in its initial years, the Indian cinema industry has grown onto becoming a Rs 93-billion industry by 2011---a testament to the phenomenal growth that the industry has achieved over the past hundred years. The highlight of the 10-day annual film carnival this year is a special Centenary Package showcasing 100 years of Indian cinema. With more than a thousand films being churned out every year in more than a dozen languages, India now boasts of being the world's biggest film industry. The closing film of the festival ending on November 30 will be India-born Mira Nair's film "The Reluctant Fundamentalist," based on Pakistani author Mohsin Hamid's novel of the same name. It stars Liev Schreiber, Riz Ahmed, Kate Hudson and Kiefer Sutherland. Nair created Lahore near Delhi to shoot the film because Pakistan wouldn't give her permission to shoot. The delegate registration for the 43rd IFFI has crossed the 12,000-mark as against 8,000 last year. This suggests the increasing popularity of IFFI. This year, the International Competition section of the festival features 15 films from 18 countries selected by the jury after watching 300 films. The Cinema of the World section will screen 52 films, while the segment titled A Cut Above will screen films that are not in competition but have been included because of their quality. The Indian Panorama has 20 feature films and 19 documentaries. The feature film section will open with Assamese director Jahnu Barua's "Bandhon." To reach out to more cinema lovers and to make IFFI more participatory, the Directorate of Film Festivals is reviving the tradition of beach screenings across Goa's lovely beaches this year. This is a practice that was introduced in 2004 but was discontinued later. This is bound to attract thousands of Goans and tourists from India and abroad. Various films being shown in theatres in Panaji will also be screened on giant screens on 10 beaches during 24-28 November. Entry will be free. The Centenary Package celebrating 100 years of cinema in India will screen 27 films and 36 documentaries. Marathi movie 'Deool', directed by Umesh Vinayak Kulkarni, and 'Byari', a film in Byari language directed by Sumeeran, which won the best feature film shared award at the recent 59th National Film Awards for 2011, are the direct entries in this prestigious section of IFFI. The feature film category has entries from 10 languages including Assamese, Bengali, Bhojpuri, Byari, English, Kannada, Konkani, Malayalam, Punjabi and Tamil. There are two bilingual films in this category. Konkani movie 'Digant', directed by Dnyanesh Moghe, has been selected in feature film section of Indian panorama. The jury chose 'Celluloid Man' (Hindi, English, Bengali and Kannada), directed by Shivendra Singh Dungarpur, to open the In the non-feature film category, section of the Indian Panorama. 'Allah is Great', a non-feature film in English, Hindi and Danish, directed by Andrea Lannetta, has also been selected by the jury. IFFI-2012 provides an ideal opportunity for filmmakers and film lovers to watch, appreciate and learn the art of film making and it also provides a creative environment and a huge platform for networking with some of the best industry professionals from India and abroad. Global film celebrities who are expected include Korean arthouse master Kim Ki-duk and Indian-American film producer Ashok Amritraj. Disclaimer: The views expressed by the author in this article are her own and do not necessarily reflect the views of PIB or of WBRi.